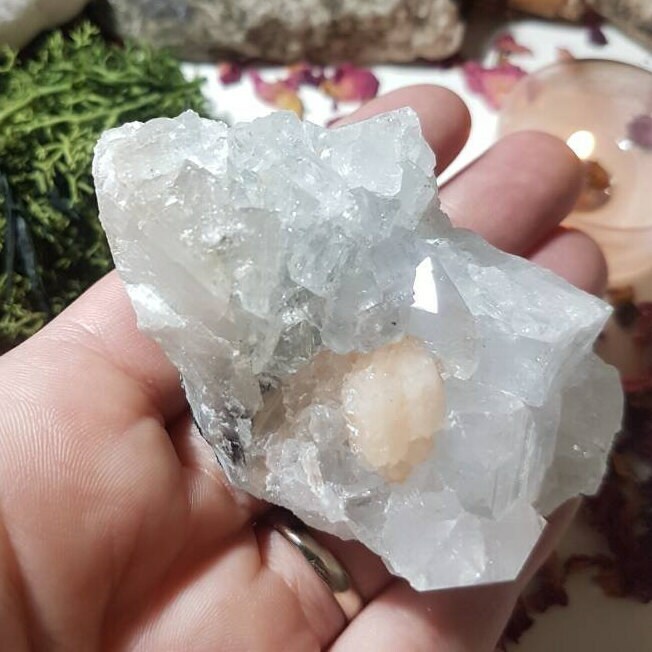 Measures approx 8cm x 5cm x 3cm. 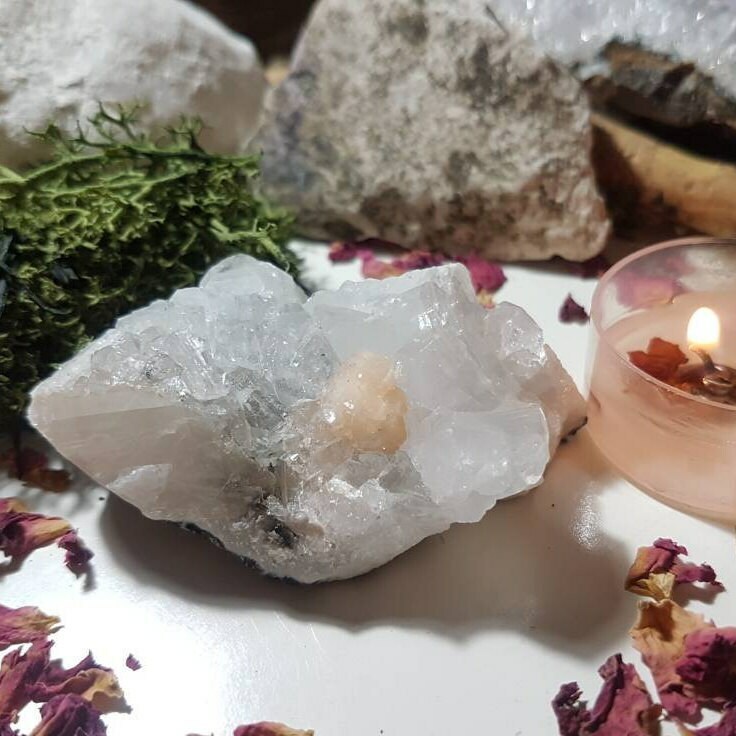 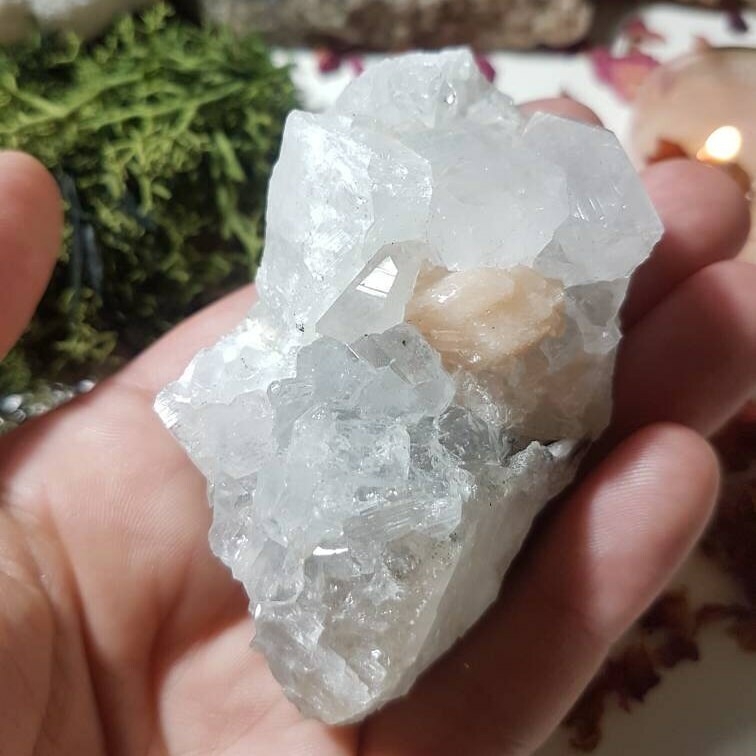 Stilbite is a soft and delicate crystal that resonates with the vibration of Universal Love, helping to open the heart and overcome fear and loss. 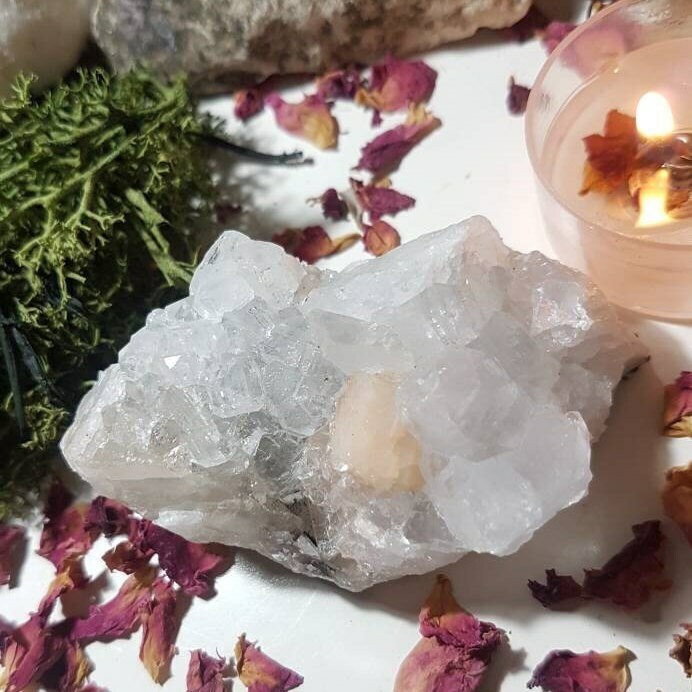 It's calming influence brings inner peace and in meditation it gently expands our consciousness to be aware of other realms and dimensions. 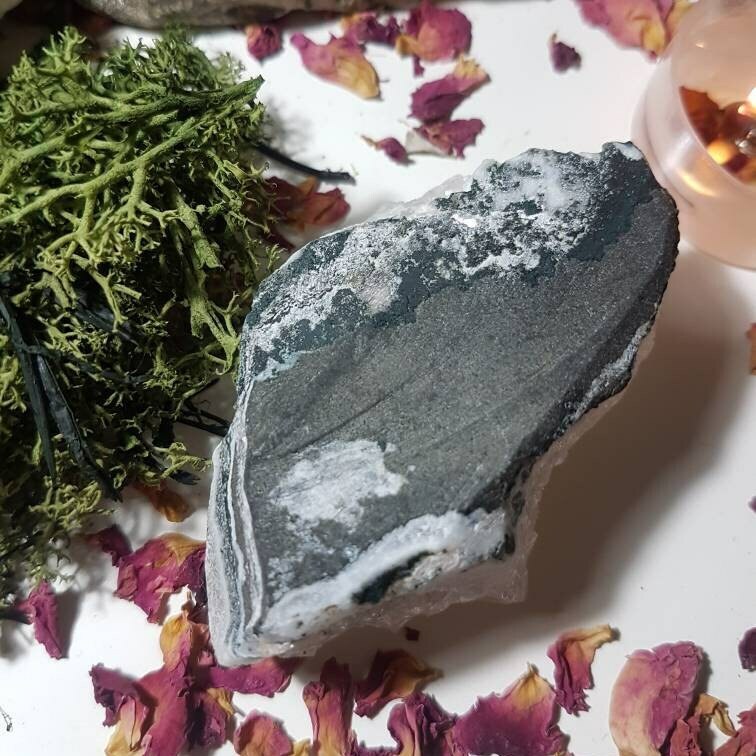 Harnessing the power of ancient molten lava streams, apophyllite brings high vibrations of light that are known to soothe feelings of anxiety, fear, and worry. 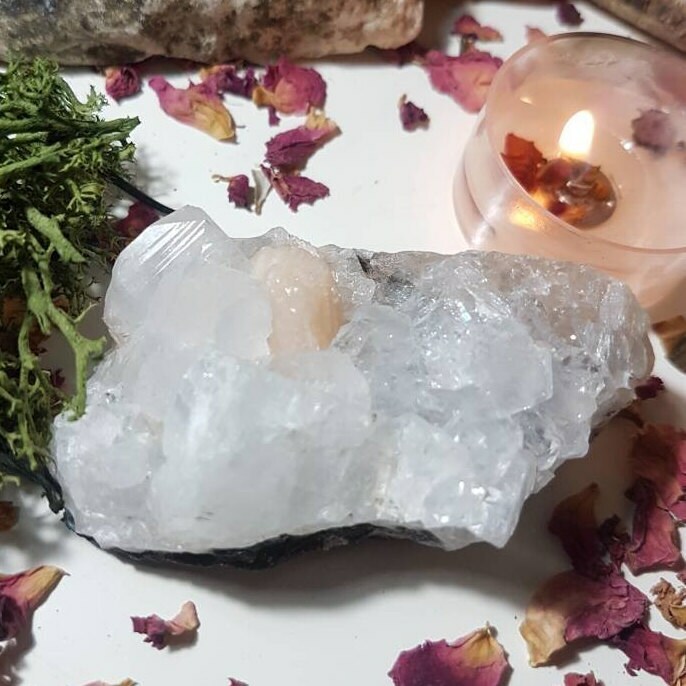 This powerful but gentle healing crystal is a must-have for your gem collection because it helps to calm an anxious mind in times of stress.